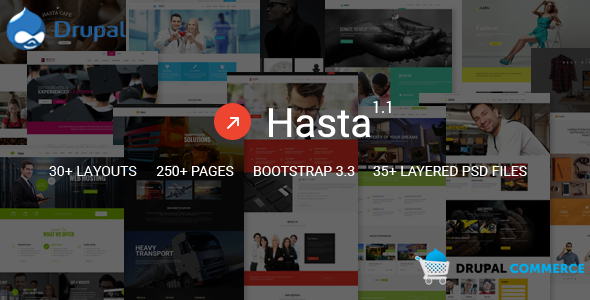 Hasta is a Responsive HTML5 / CSS3 (Desktop, tablet, mobile phone…) simple, clean and Professional theme. It comes with a lot of Multipage layouts, Many more inner Pages, Awesome Slideshows and Color Variations. Easy-to-customize and fully featured design. This theme Created for all business such as Corporate, Business, Portfolio, Hosting, Creative, Blog and other.